Awesome Author box that you’ll fall inlove with. Still undecided? Try the free version first! This entry was posted in Utilities and tagged agent box, agents, author box, author description, author profile information, author tab, custom post type, google authorship, profile, profile box, Social widgets, vk, vkontakte, widget, wordpress author bio on August 7, 2015 by Vera Jaman. 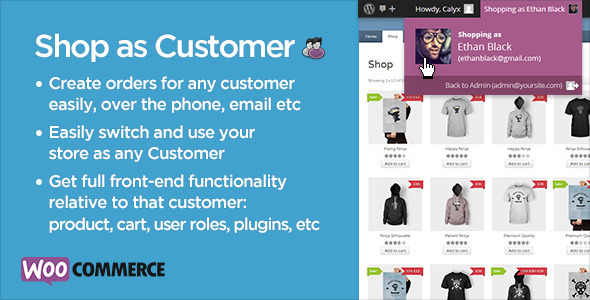 Shop as Customer allows a store Administrator or Shop Manager to shop the front-end of the store as another User, allowing all functionality such as plugins that only work on the product or cart pages and not the Admin Order page, to function normally as if they were that Customer. Once installed, the Administrator can easily switch to another user with 2 clicks, then shop the store as that user would see it, with all functionality and plugins that would only be visible to that user, working perfectly. Such as those that work with User roles, inputting custom variables (meta) on product order that are not supported in the Admin Orders screen, etc. This enables incredibly quick and simple manual order creation. And with another click they can switch back to the Administrator or Shop Manager. Once a cart is created for a User while shopping as them, instead of seeing only the pay button on the checkout page, the Administrator or Shop Manager now has convenient buttons to also email the invoice directly to that User for payment or link to the Order created in the Admin section. This entry was posted in eCommerce, Misscellaneous, WooCommerce and tagged account, admin, customer, ecommerce, edit, permission, profile, rights, shop, switch, testing, woocommerce on August 7, 2015 by Vera Jaman. 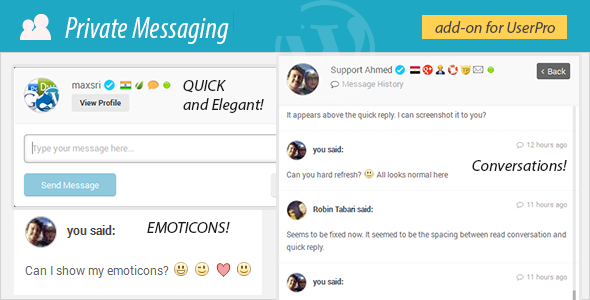 This plugin adds private messaging between users and allows users to receive notifications about new messages, view conversations, reply to other users, It includes nice features such as emoticons, nice ajax notifications, easy conversations and quick-reply. Trigger messages from any custom link ! Ability to broadcast a message to all users.A success / failure notification is sent after the broadcast is completed. To test the chat/messaging ,please login with an account to the UserPro demo, because the messaging feature is only available for registered and logged-in users. This entry was posted in Add-ons and tagged chat, communication, direct messages, messaging, private messages, private messaging, profile, profiles, user messages, userpro, wordpress on June 7, 2015 by Vera Jaman. UPME takes your profiles to the next level, allowing you to create unlimited custom profile fields and to completely customize the registration form. You control which fields are required, which fields users can edit, which fields are private, and much more. You can even display your users in a beautiful, searchable members directory, or just show one or two specific users on any page or post you want using one of the many included shortcodes. The possibilities are endless! Includes many easy to use shortcodes with loads of options and is fully customizable. This entry was posted in Membership and tagged directory, frontend, login, member, members, membership, private content, profile, profiles, register, registration, s2Member, user, userpro, users on March 24, 2015 by Vera Jaman. 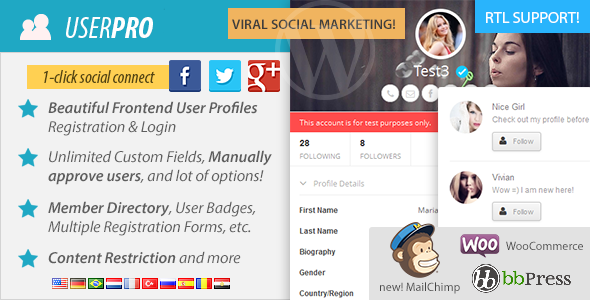 The social features of UserPro add neat creativity on your site. Follow, unfollow features, a stream showing real activity by users on the site, with various activities logged. It also offers a private activity stream available to logged in user. In addition, It adds followers list, and following list shortcodes/pages automatically. So you can track your followers, followed users, and let others do the same! 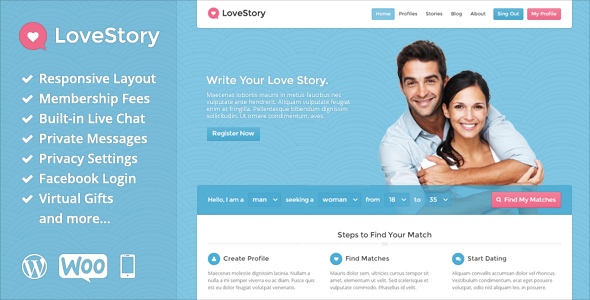 This entry was posted in Membership and tagged custom login, custom profile, directory, edit profile, frontend profile, login modal, member directory, membership, profile, profiles, s2Member, user profile, User profiles, userpro, users on March 13, 2015 by Vera Jaman. 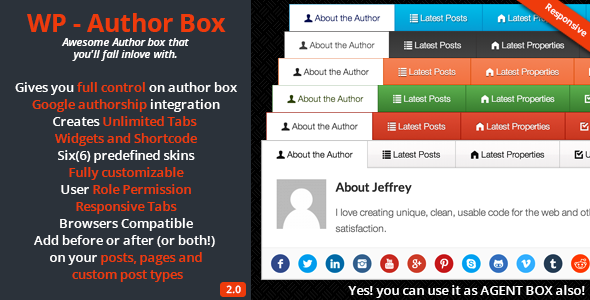 This theme extends default WordPress profiles. 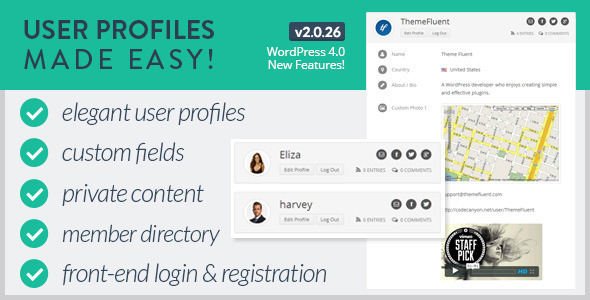 User can edit profile fields, upload photos, add favorites, view gifts and read messages, edit privacy settings without even seeing the WordPress backend. This theme has built-in chat with live notifications. It means that any two online users can start a real-time conversation and receive new message notifications even if they are on different pages of the site. 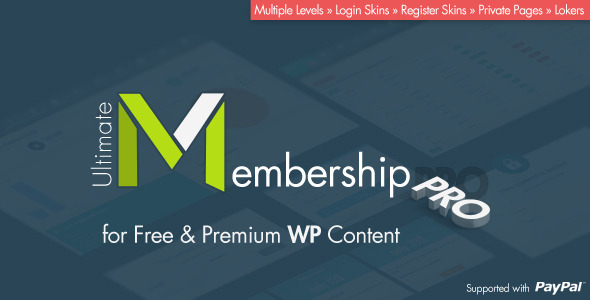 This theme has built-in membership system. Each membership level limits the number of photos to upload, messages and gifts to send for each user. All membership payments are processed with WooCommerce. This entry was posted in Miscellaneous and tagged chat, community, dating, facebook, membership, profile, social on October 16, 2014 by Vera Jaman.